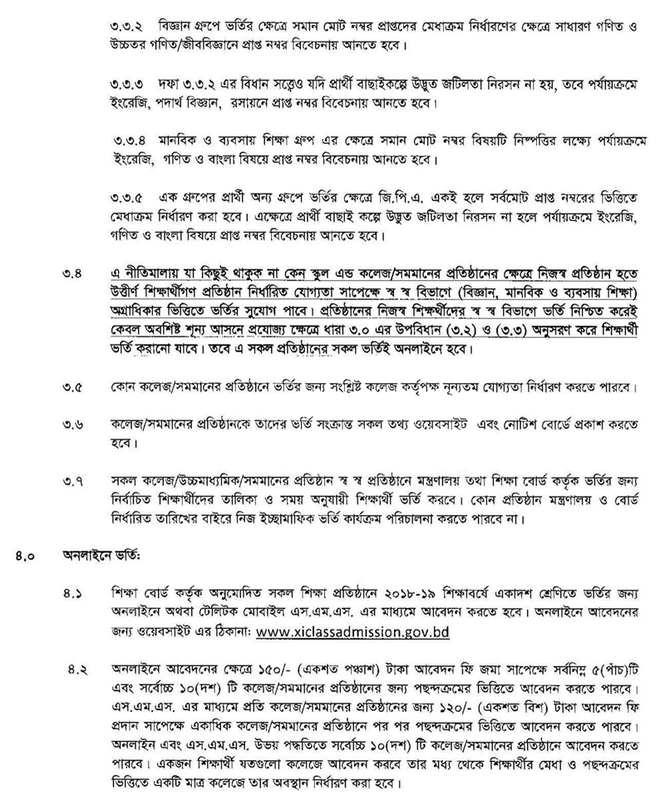 HSC Admission circular 2018. Since SSC Result 2018 has published all over the country. HSC Admission circular 2018 also started. As it is also known as HSC XI Class admission. So all the colleges are publishing their HSC admission notice reportedly.If you are looking for HSC admission circular. Moreover, you may also be looking for HSC admission Notice 2018.As HSC College admission is going on. Most of the students are very keen to know how to apply for colleges.If you are one of them.You are in the right place.As in www.jobbd.net, we are publishing all college HSC admission notice and admission circular. So visit our site regularly to stay updated. During this time HSC College Admission is going on in full swing.As all the colleges are publishing HSC Admission Circular 2018.After publishing SSC Result 2018, then publishing HSC Admission Notice 2018.As Online HSC Admission Application official site www.xiclassadmission.gov.bd. This time I introductions about HSC Admission Notice and Result 2018. HSC Admission Circular 2018 will be published after an SSC Result 2018. Now All Apply Students are waiting for HSC Admission 2018. In addition, Bangladesh Ministry of education board Will publish HSC Admission Notice 2018 all college in Bangladesh.If you want to apply for HSC Admission Circular 2018. First, you have to read the HSC Admission Circular 2018. Moreover, you have to read the all the requirements of the colleges. So the good news is that the HSC admission notice has published all over the country. If you find that you are eligible to apply then make sure that you have all the documents with you. Moreover, you have to be careful while applying. In addition, you have to check whether you are eligible or not. If you find that you are eligible to apply for this post. Student Any Education SSC Passing Exam Year 2015, 2016 and 2018. Bangladesh Open University SSC Passing Year 2014, 2015, 2016 and 2018. Student Can Apply for one of Science, Commerce, and Humanities who passed from Science Group. A student can Apply for one of Commerce and Humanities Group who Passed from Commerce Group. Students can Apply for one of Humanities and Commerce Group who Passed from Humanities. 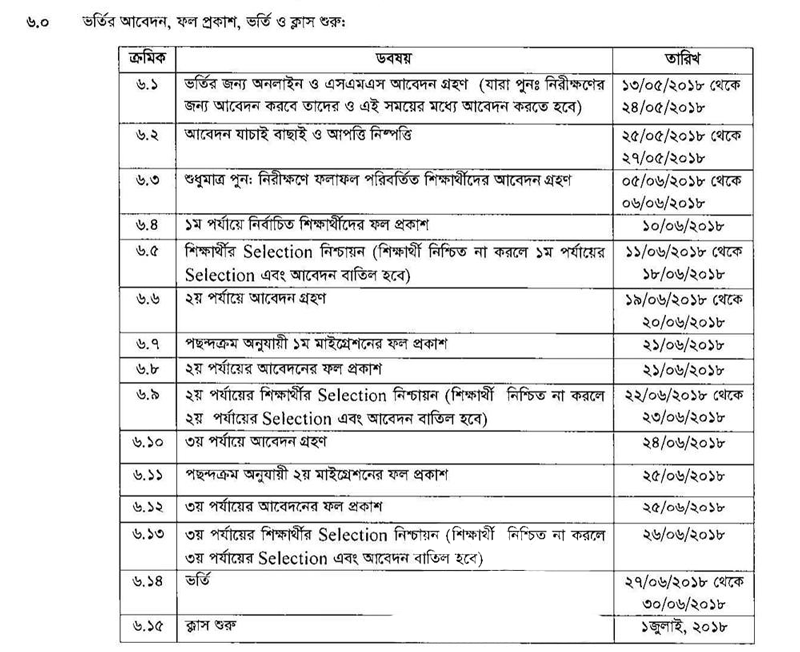 Moreover, Candidates will have to apply through online in official www.xiclassadmission.gov.bd. One candidate can select maximum 10(ten) colleges according to his/her choice.As Online Application fees will be 150/-Taka. Since it is a new procedure and many students are from remote areas, SMS method will also continue. In that case, students will have to apply for 10 colleges separately and pay for 120/- (120 X 10=1200/-) separately for each college. In addition, SMS method may not be valid for next year. 1st SMS: CAD <space> WEB <space> Board <space> Roll <space> Year <space> Reg. No. It’s a good News that Students Can Apply Online and send SMS By Teletalk both way.If you want to apply by SMS simply follow the steps below.As we know The online application fee is 150 Taka For 5 College and 120 Taka For Single College. If you Found Any Wrong in Online Way Just See Below No For Help. During the application submitting time we will notify you the date of result.As we will publish HSC admission result on our site on time.If you want to get HSC admission result.As we are publishing All College HSC Admission Circular 2018.If you want to get them in one place visit this site regularly. Moreover, you can bookmark this site. Moreover, To Get the latest updates on the regular job like Our FACEBOOK PAGE and also Join our public FACEBOOK GROUP.